electric bills. Photo by Caroline Martin. A veteran-owned Richmond company is helping businesses keep the lights on for less. Veteran LED’s pitch is that it can save customers money on their electric bills by switching them to LED lighting and assessing their energy usage. The company also identifies tax exemptions and incentives that can offset customers’ installation costs. Veteran LED is working on 17 projects in six states with contracts ranging from $50,000 to $600,000. The company’s revenue has risen from $500,000 in 2016 to $2 million last year and is expected to reach $4 million this year. Rawlings owns 70 percent of Veteran LED, while the company’s chairman, management consultant Larry Liss, owns the rest. Rawlings saw the potential savings offered by LED lighting systems while working as a contractor for Falls Church-based Northrop Grumman. 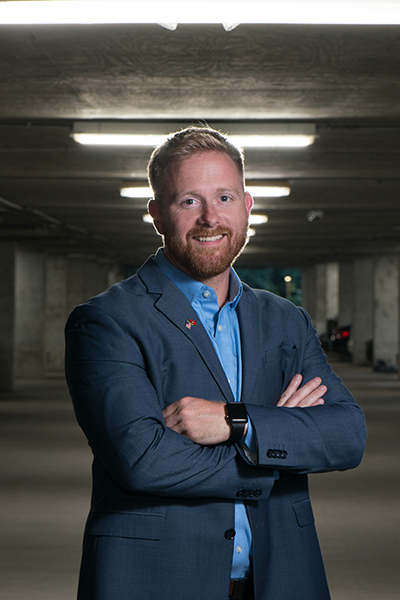 Veteran LED is designing an energy-efficient lighting system for a 300,000-square-foot warehouse and distribution center in Dallas operated by Monkey Sports. The project is expected to help the sporting-goods retailer save $100,000 on energy use each year. In June, Veteran LED landed a major contract with the Westminster Canterbury senior-living community in Virginia Beach, a project that is expected to result in $200,000 in annual energy savings. The company also has worked on projects at the Virginia Farm Bureau headquarters and Tobacco Row apartments in Richmond and NOVA Swimming and Aquatics Center in Henrico County. Veteran LED employs five full-time and two part-time workers in addition to a handful of independent contractors. The company has a preference for hiring veterans and working with veteran-owned subcontractors and businesses. “As a veteran myself, I want to be able to support the veteran community,” says Rawlings.